Here is a piece that seldom see offered. 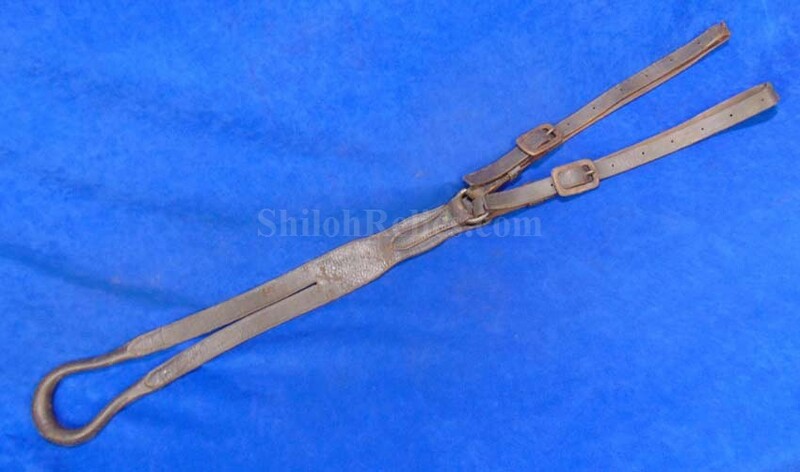 This is an original Civil War regulation horse tail crupper. This is the piece that attached to the back of the saddle and was designed to hold the horse tail up. 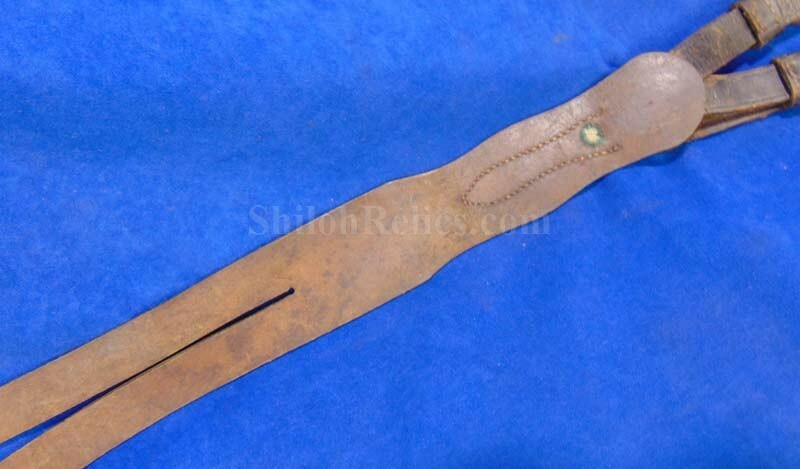 This one is nice and complete and has both of the original length adjustment straps intact. 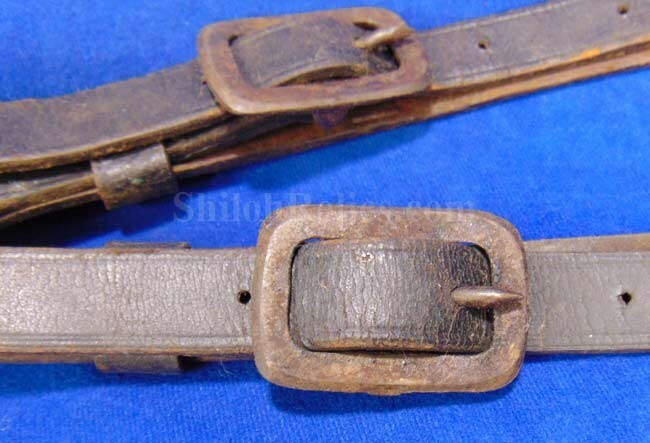 It has both of the original iron buckles intact. 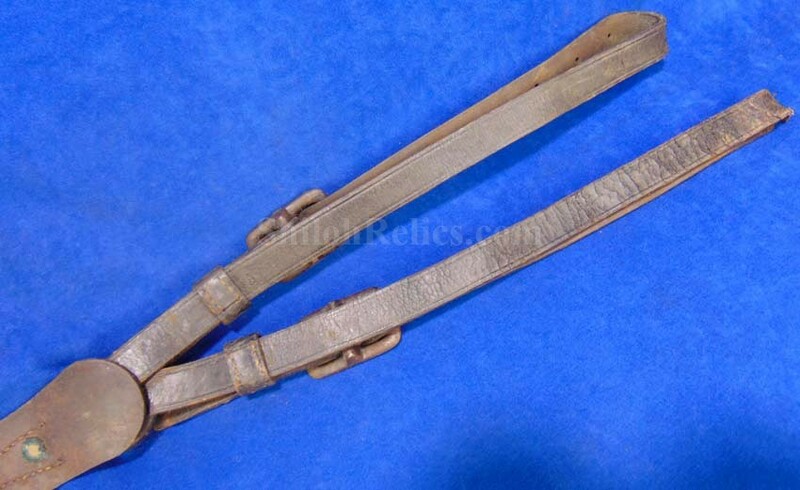 These iron buckles let us know that it was designed for an enlisted man because the officers version had brass buckles. It is completely unmarked so it is probably an earlier production version. This is a great piece of original Civil War horse equipment.